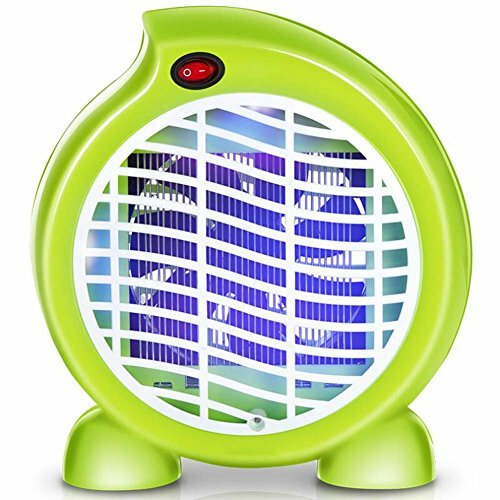 ★ LED violet light 365MM wavelength, 7 leaves a large fan strong suction, fan speed 1100RPM +_10%, instant inhalation of mosquitoes can not escape near. ★ Pure physical mosquito control: Ultra-quiet, No Radiation，Safe,NO Toxic & Odor Free，Pregnant women, the elderly, and children can safely use。mosquito repellent, environmental protection and efficient, safe and energy-saving. ★ External protective net, children can't reach out and Mom can use it safely. ★ Flame-retardant PP material, high strength / toughness / high temperature / anti-drop / durable / non-toxic guaranteed. ★ One-touch switch, but also convenient for the elderly, children operate, Related Products Please Search GAOLIQIN.